Brand new card game, The Shame of Life, puts strange questions to social media with some shocking results. 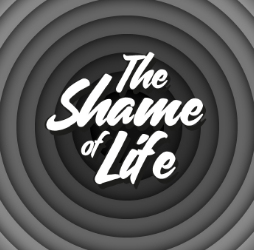 Manchester, United Kingdom - April 11, 2019 / / — The Shame of Life is a brand new card game which encourages players to discuss random and absurd topics. In order to win the game, participants just need to make the most interesting or entertaining point, much like a TV panel show! To get the party started, The Shame of Life’s creators have been posing questions on social media and the have stumbled across some astonishing results. It seems that of all the people who participated, a whopping 89% of people would rather date the girl from The Exorcist than Donald Trump. That’s right, they would prefer to date a possessed 12 year old girl than the President of the United States. The company has been posting a range of similarly uncomfortable questions on their Facebook page to get people talking and see what kind of questions will be most successful in the game. Combining market research with genuine curiosity seems to be working a treat so far with some interesting results coming in already. The main aim of the game is to give people a platform for expressing, describing and debating some of their strangest thoughts and opinions in a safe space. In a world that feels increasingly judgemental, it’s important that people can still have a “grown up” conversation about the weirdness we all hide deep down. The game will be coming to Kickstarter soon and the creators will be offering great early bird discounts. Customers can download a demo version of the game on The Shame of Life website and subscribe to their mailing list to find out when the game is released. For more information about The Shame of Life, please contact Gareth Breeze on +447707652173, or email gareth@theshameoflife.com. Please address any postal queries to 29 Blue Moon Way, Manchester, M14 7GR. Check out their website https://theshameoflife.com for all the information you need and visit their facebook page to see what sort of strange questions the team will come up with next!